Household & Furniture - free classified ads : aaaFreeAds.com. GSM Frequency: 900/1800/1900 MHZ Audio Amplification:-45dB Battery Life: 40 Hours Listening Time: 8 Hours Calculator Fully Functional Fully Functional Desk Top Calculator Has GSM Listening Device With 40 Hours Operation. Battery charged with USB. This Fully Functional Calculator can Be Left In Office Without Any Suspicious And You Will Know What. 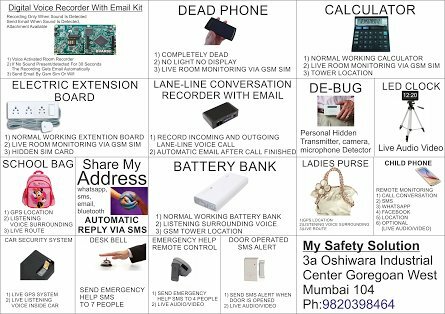 Tags: Spy & Security products. Calculator Gsm Bug.